Special offers and discounts for hotels, spas and resorts. 1.5 rewards points rate is fair. 14.49% - 20.99% regular APR for purchase and balance transfer is fair. No APR for purchases and balance transfers first 12 months. You won't pay for this card annually. Cash advance and balance transfer fee rates are good. 30000 bonus points available when you spend $2500 in first 3 months. Cash Advance fee is high. If you could redeem points for travel at higher rates, it could be a much better travel card. 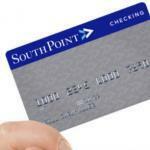 SouthPoint Bank Visa Signature Travel Card is providing many good benefits for you for travelling. Discounts and special offers for hotels, resorts, and spas is one of the best feature of the card as a travel credit card. Other than this you are going to earn 1.5 rewards points for your purchases in all categories and you are going to get 30000 rewards points when you spend $2500 in three months with your new card. Cash Advance and Balance transfer fees are good. However cash advance APR is a little bit high for the card. There are also many other nice travel features with this card. 30000 Rewards points when you spend $2500. Travel Discounts & Special Offers for hotels, resorts, and spas. 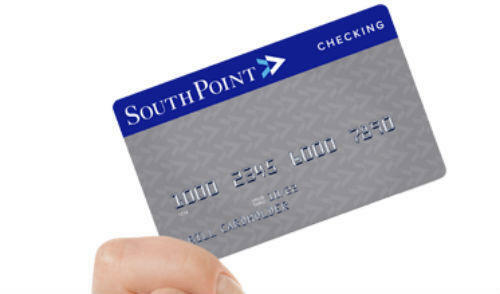 You can read some users reviews of SouthPoint Bank Visa Signature Travel Card below.